Any Nigerian willing to migrate to the United States for work opportunities, as required under the US Immigration laws, is expected to apply for a visa based on the specific work type that he/she is travelling to engage in. There are certain requirements for most of the work types and these must be satisfied. This article will provide a step by step guide on how you can get your temporary US work visa from Nigeria and ease for you the entire process. There are several categories of work type visa provided for under the US Immigration Law and available for Nigerians to apply. Most of these visa applications require that applicants ensure that there prospective employer files a petition called the Form I-129. This petition is crucial to the work visa application and must be approved by the US Citizenship and Immigration Service(USCIS) without which the applicant will not be able to carry out the visa application. This form of work visa is required for individuals who wish to travel to the United States temporarily for the purpose of serving in a pre organised professional occupation. This requires that such prospective worker obtains a bachelors degree or its equivalent in the particular field of work for which he or she intends to travel. For the applicant to be able to complete the visa application, the prospective employer is expected to file a document referred to as the labour condition application which must show the details of the employment contract. The H-2A visa is designed for those who wish to travel to the United States to work in the Seasonal agricultural sector. These positions are available for agricultural works where United States citizens are not available to apply. For this visa type, the prospective employer who must be based in US is also expected to file the form I-129 on behalf of the worker. This form can also be filed by any US agricultural producers’ association. The trainee work visa type is required for workers who intend to travel to the United States to engage in a particular training required to work in a specific field or occupation usually for a period of up to two years. This is not suitable for those travelling to study or partake in graduate education. This type of visa requires that the trainee does not have such training available in their country of origin. This class of non immigrant visa is required for foreign nationals or citizens who have extraordinary abilities especially in the field of science, arts, education, sports and business. The P visa type includes the non immigrant visa types issued to artists, athletes and entertainers who are travelling to the United States to perform as well as those engaged in support functions for those workers. The Q visa type includes the visa types required for international cultural exchange participants who are travelling to the United States to engage in training or employment. It is also issued to individuals travelling to share history, traditions and culture of their home country in the United States. The Q visa type requires that the sponsors of the program the individual is attending obtain an approved petition from the United States Citizenship and Immigration Services (USCIS). The first step to applying for your work visa regardless of the type of work you intend to travel to the United States to embark upon is to determine your eligibility. This is the most important step of your visa application. First you must find out the visa type suitable for you by going through the types listed above. You can also get more information to decide on the suitable work visa type for you by reading the information provided on the Common Non immigrant Visas page. -Two passport photographs taken not longer than six months to the time of your application. One of these should be 5cm by 5cm (2” by 2”). These should meet the US visa passport photograph requirements. You can check for these requirements here. – Individuals applying for the L visa type must make available proof of fraud prevention and detection fee payment. This payment is for those applying for L visa on a blanket petition. Ensure you keep and make copies of your payment receipt. Click here to obtain more information on the fraud prevention and detection fee. – Ensure you obtain and keep a copy of your visa application fees receipt. Usually for work visas, this is about $190 US dollars which will be paid in naira in any GTB branch. – Applicants who already hold an H-1B status must ensure they provide their pay slips as well as tax returns for the periods they have been engaged in any occupation within the United States. – H-1B applicants are also expected to have a document containing the list of their previous and current employers as well as contact details. A job history document containing well detailed and appropriately signed letters from your previous and current employees with information on the type of work you have been engaged in and the duration. Spouses who already hold an H-1B status must ensure they provide their pay slips as well as tax returns for the periods they have been engaged in any occupation within the United States. H-1B spouses are also expected to have a document containing the list of their previous and current employers as well as contact details. Do not provide falsified documents. After you have determined the appropriate visa type you need, confirmed your eligibility and prepared all necessary documents. You are required to go ahead and pay your visa application fees. This fee is usually non refundable and cannot be transferred from one applicant to the other. Different types of non immigrant visa have different fees attached and must be paid whether your visa is granted or rejected. Usually Nigerians are expected to pay between $190 for most work visa and payment is usually made at any Guaranty Trust bank using local currency. You can also pay your visa fees online if you have an account with Guaranty Trust bank. 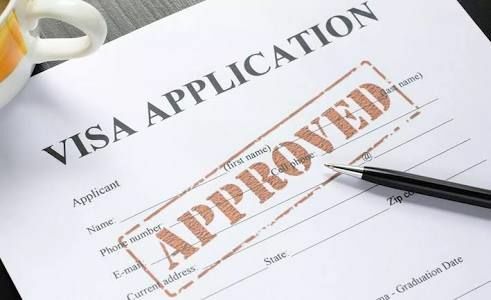 For list of visa application fees for other types of visa under the non immigrant work visa class and more information on how to pay your visa fees online you can click here. Note: It is important to make copies of all your payment receipt for reference purposes. Also exchange rate used is N360 for one dollar until 02/07/2018. Always check for the current exchange rate at the time of your application. After you have determined your eligibility to travel to the US, made available all required documents and paid your fees, the next step is to complete your visa application form. Usually, every US work visa applicant is expected to complete the Non immigrant application form also called DS-160. 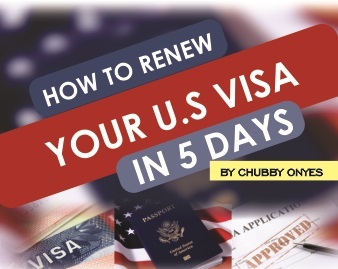 This must be completed correctly and submitted online before you can be allowed to proceed to the interview stage at the United States Consular or Embassy. Typically, the DS-160 form consist of a barcode number which you must look out for, this will help you schedule an interview during your visa processing period. It is important that you follow all instructions on filling the form carefully, enter correctly all information and do not falsify or hide information as this could jeopardise your eligibility to travel. Follow this link to find the guidelines to completing your DS-160 visa application. The nest step after completing and submitting your visa application form is to schedule your visa appointment. Follow this link to schedule your appointment. Barcode number from your DS-160 confirmation page (this is usually a ten digit code, ensure you fill it correctly. Receipt number from your visa application fees payment receipt from Guaranty Trust bank. Your passports including the old and new ones. Step 6: Follow up and Track your Application status, then wait. Once your documents are approved and your visa is granted, you will receive your visa through the location you must have signified as your document drop-off location while scheduling your appointment.